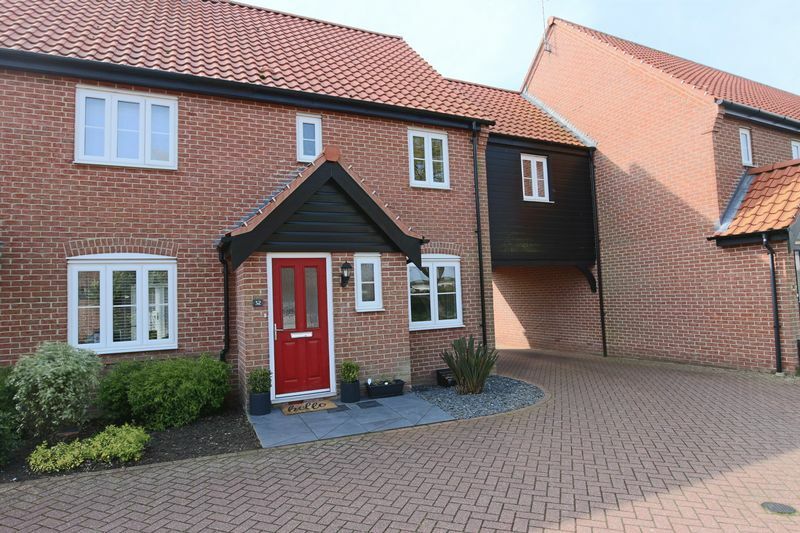 A superbly appointed mid town house on a popular sought after development, built by Norfolk Homes, gas central heating, sealed unit double glazing, off road parking and garage, the property's condition can only be appreciated upon an internal viewing. 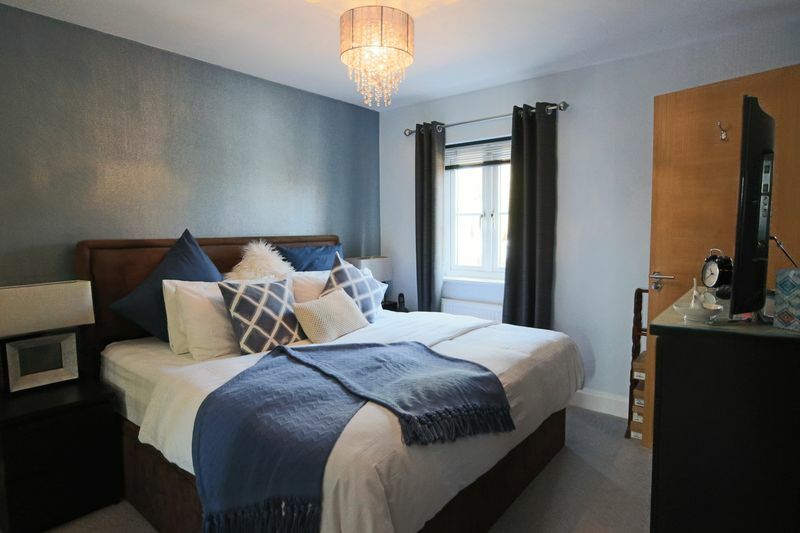 A superb mid town house, excellent decorative order, built by Norfolk homes. 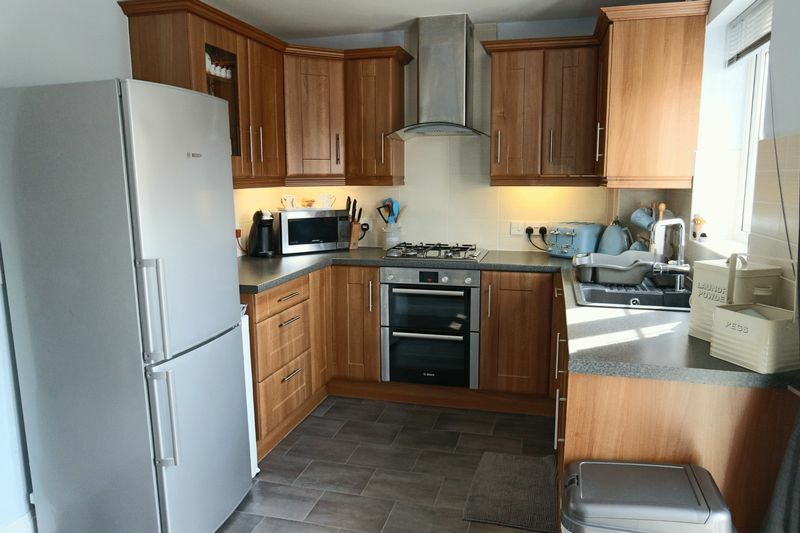 The property has the benefits of underfloor heating to the ground floor, fitted kitchen, attractive well maintained gardens with Italian porcelain patio, Garage and off road parking. 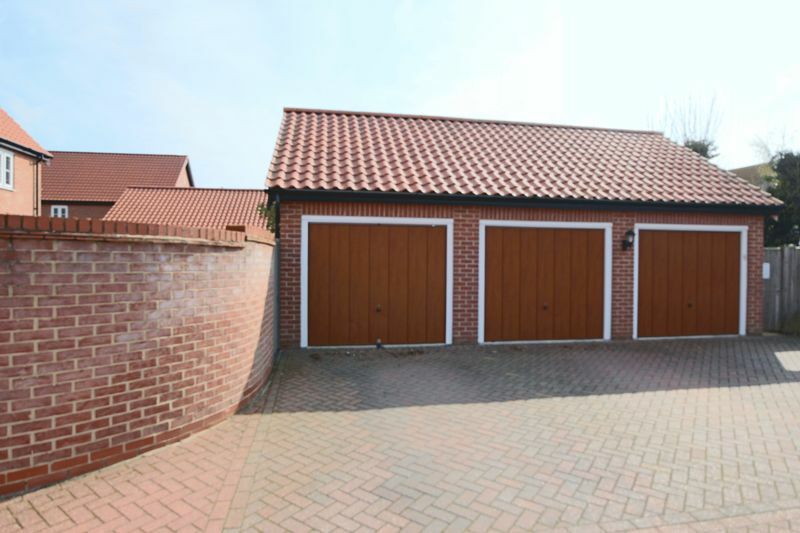 Situated in a sought after quiet locality the location and condition can only be appreciated upon an internal viewing. 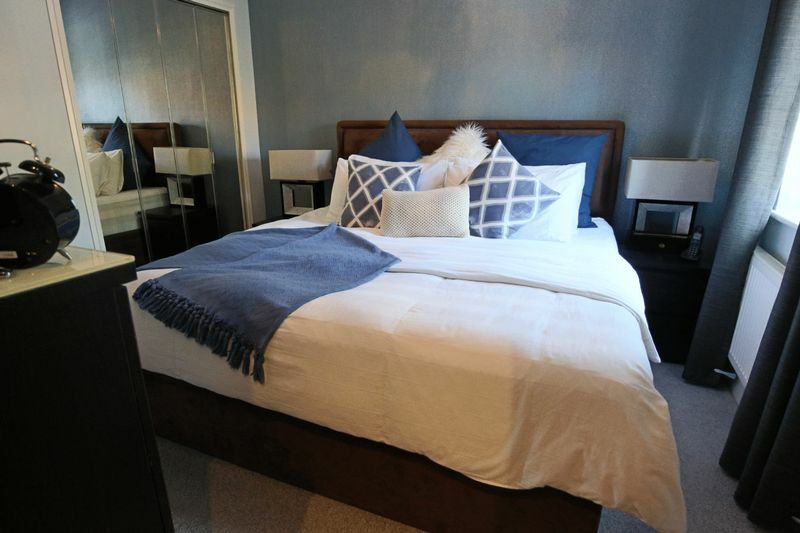 Amenities including shops and schools are a short drive away. 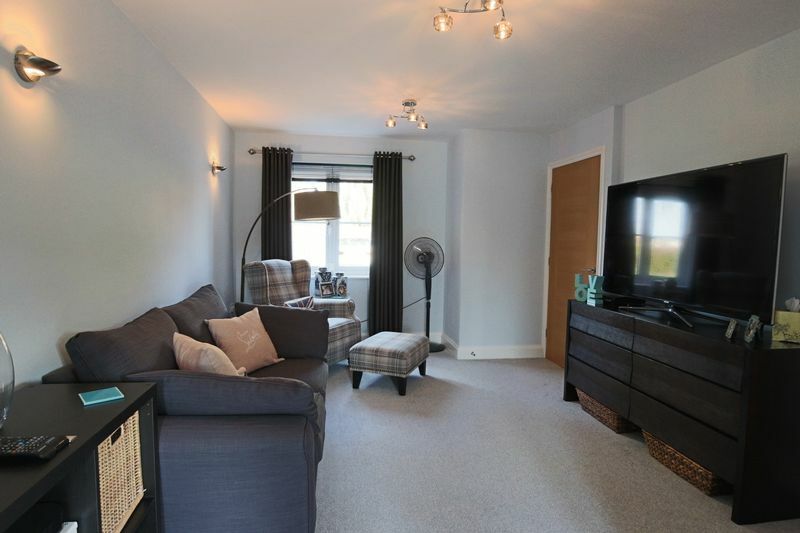 With cushioned flooring, sealed unit double glazed front door, central heating thermostat. Pedestal washbasin, H&C, low level WC, sealed unit double glazed window, trip switches for electrics, spotlights. Inset sink unit, H&C, cupboard below, integral dishwasher, built in hob, double oven, extractor, integral washing machine, further worktop with cupboards and drawers below, range of wall cupboards above, Ideal Classic gas fired boiler for central heating, concealed lighting, tiled splashbacks, cushion flooring, sealed unit double glazed window, sealed unit double glazed french doors giving access to the rear garden, spotlights. Fitted carpet, loft access, (the loft is partly boarded), airing cupboard with hot water tank, built in shelf. 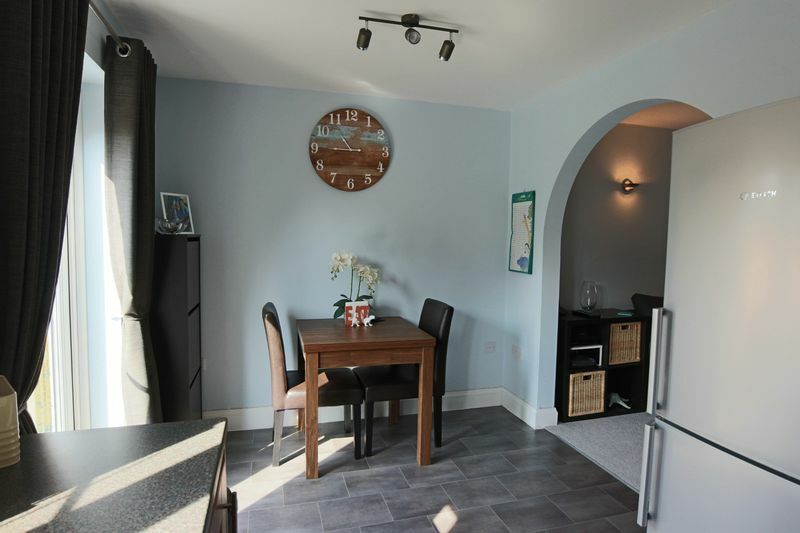 Fitted carpets, radiator, sealed unit double glazed window, range of fitted wardrobe cupboards with mirrored doors. 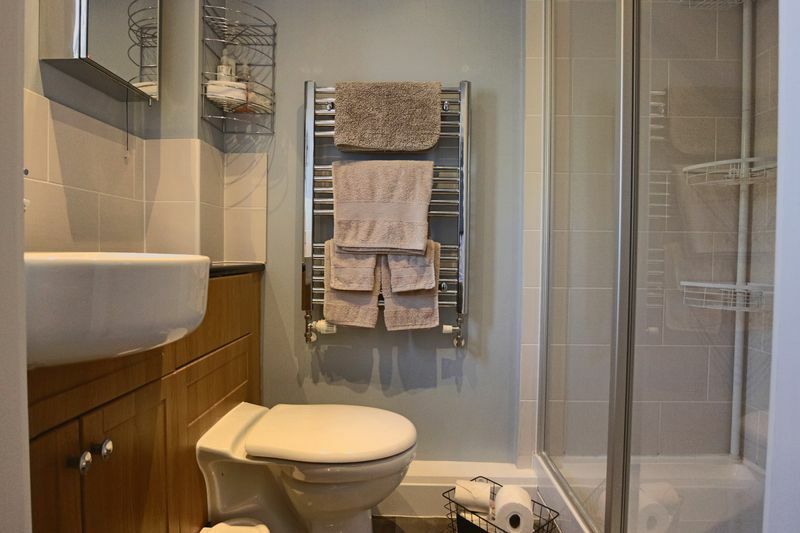 Tiled shower area, glazed screen, washbasin, H&C, cupboards below, low level WC, heated towel rail, tiled splashbacks, sealed unit double glazed window, shaver point, spotlights. Fitted carpet, fitted wardrobe cupboard with mirrored doors, radiator, sealed unit double glazed window. 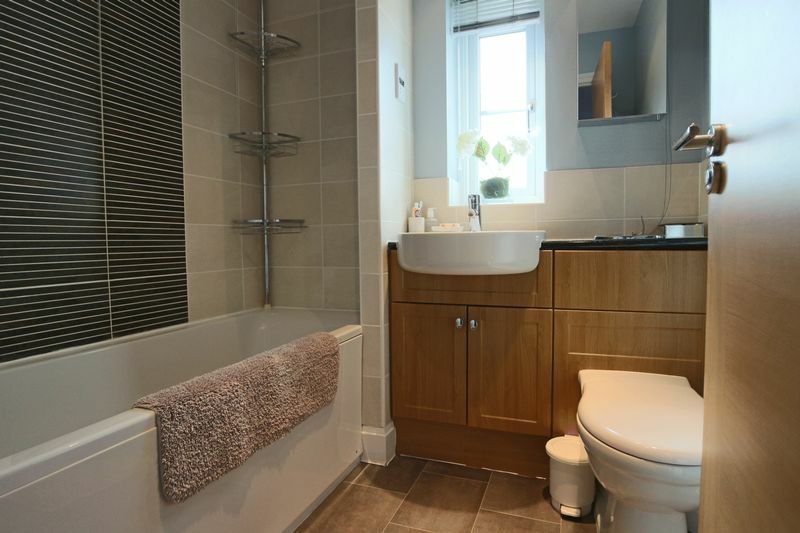 With panel bath, mixer tap and shower attachment, handbasin H&C, low level WC, heated towel rail, cushion flooring, sealed unit double glazed window, shaver point, extractor and spotlights. To the front, garden area with shrubs. 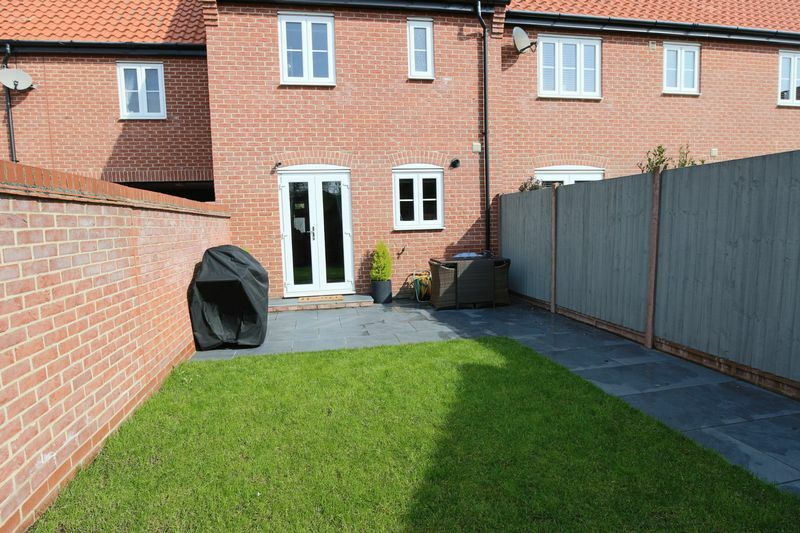 To the rear is an attractive garden with patio area, lawned, enclosed by a high brick wall or timber fencing, access gate to drive. 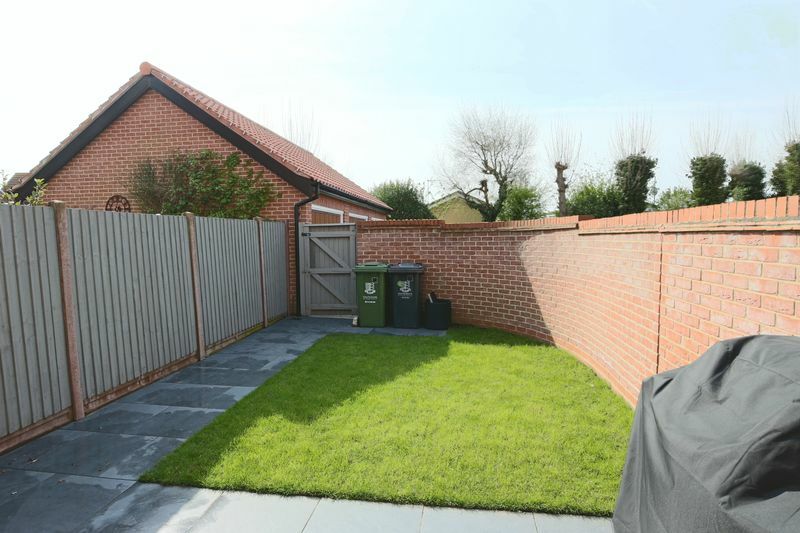 Patio with Porcelain Italian tiles, outside water tap, brickweave driveway to the garage, (2.88 x 5.6 meters), eaves storage space, up and over door, power and light.